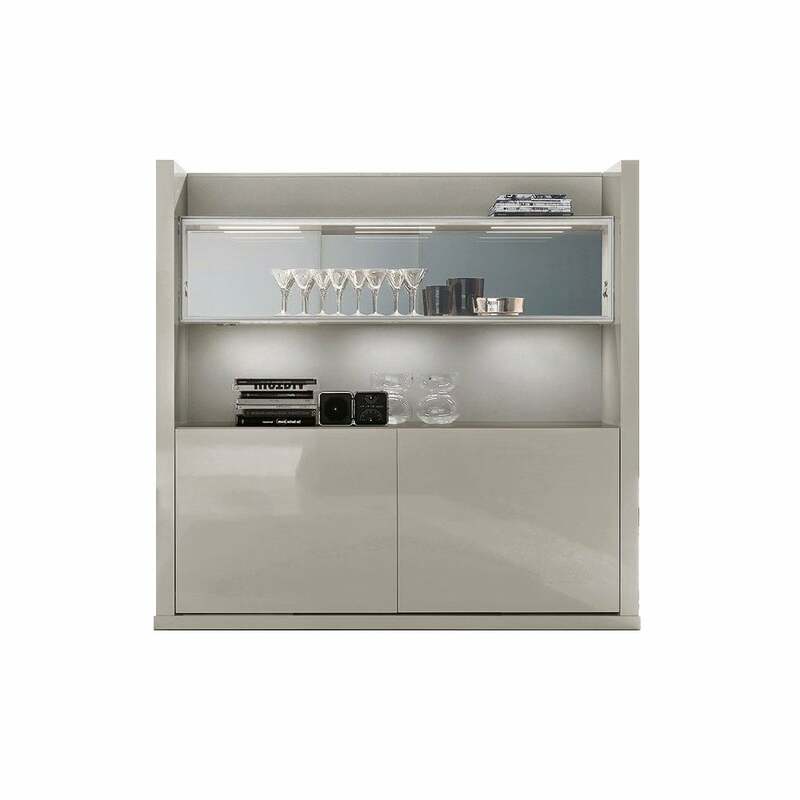 Cupboard in glossy lacquered MDF with two sliding doors. Folding door in glass with inside fluorescent light. Tops in “White Michelangelo” marble or in “Serena” stone.